Link the city to the mountain going from Fribourg to Schwarzsee via the SwitzerlandMobility network. Departure from the medieval town of Fribourg via the route 59. From the Gottéron bridge, a splendid view over the Old Town of Fribourg, its cathedral and the new Poya bridge, the longest cable-stayed bridge of Switzerland. Then, the urban side changes for a countryside landscape with green hills. From Le Mouret, follow the route 62 which links the French to the German part of the canton. In St-Sylvestre, a little break to admire the panoramic point of view. The road continues to climb through forests and villages. 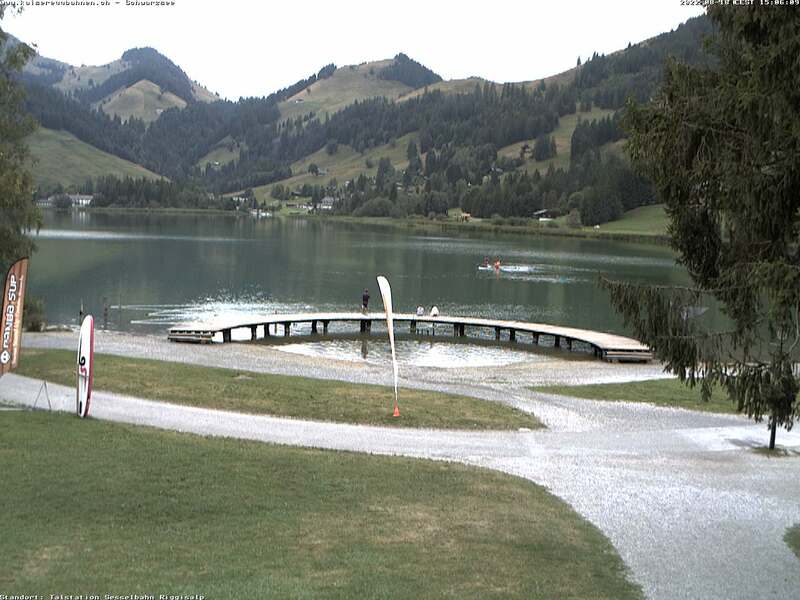 From Zollhaus, a last effort has to be made to arrive in Schwarzsee and admire its legendary mountain lake. The way back can be done by public transports. Fribourg - Bourguillon - Pierrafortscha - Tentlingen - Praroman - Le Mouret: route 59. Planfayon - Schwarzsee: suivre la route cantonale.